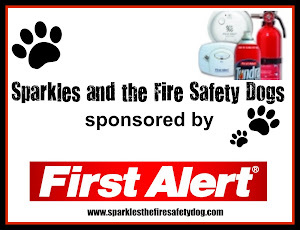 Fire Safety Rocks: Big Jingle Holiday Parade in Little Rock, Arkansas! 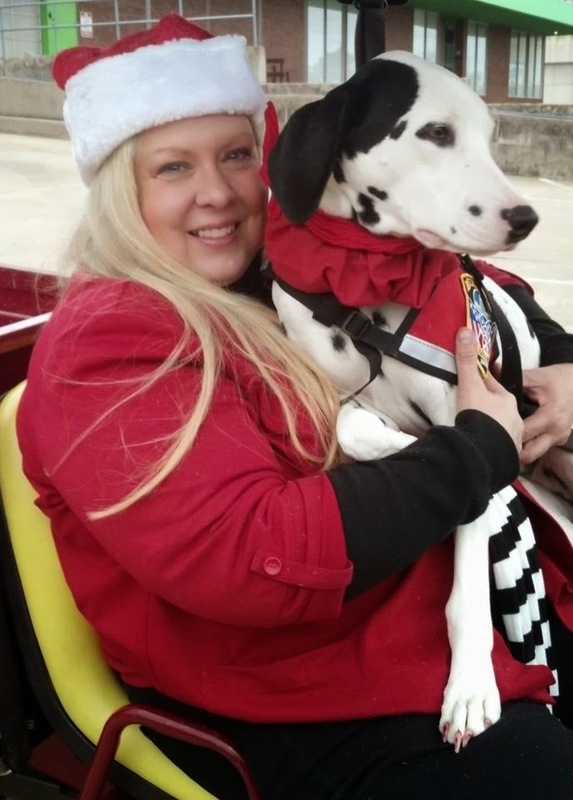 Big Jingle Holiday Parade in Little Rock, Arkansas! 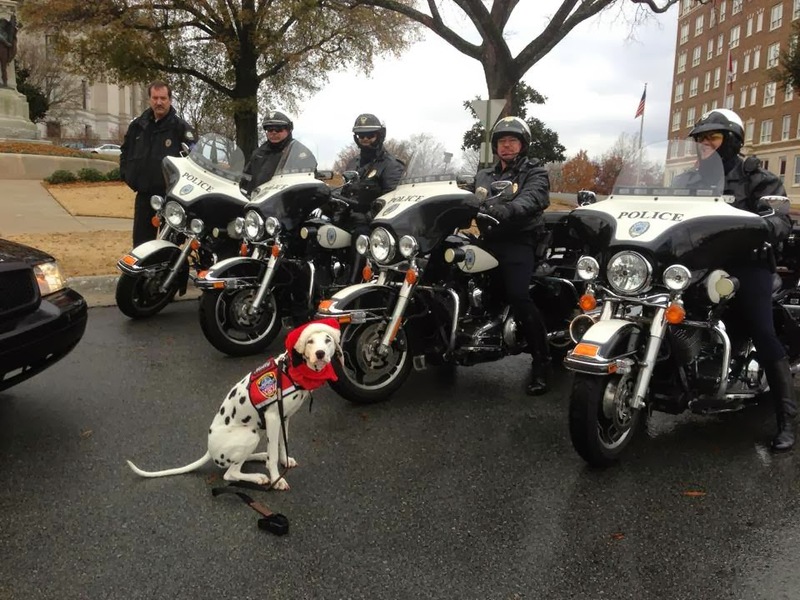 The Big Jingle Holiday Parade was in Little Rock, Arkansas today! 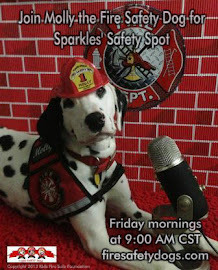 I was so honored to represent the Little Rock Fire Department at the festivities! 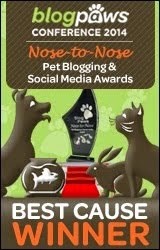 Here are some photos from the big day! 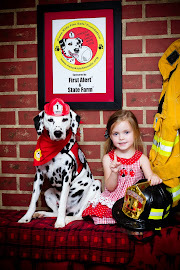 Me and my good friend, Firefighter Bo. 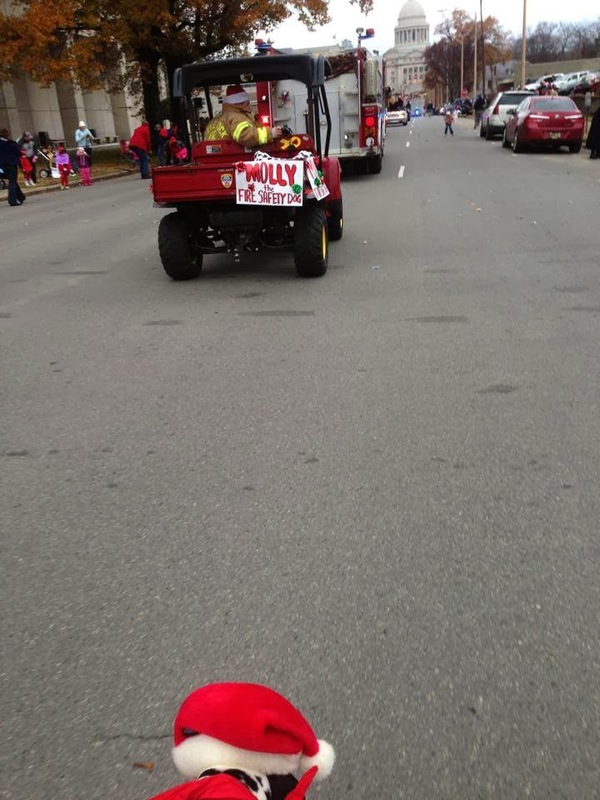 He was my driver for the parade! Before the parade, I posed for a picture with some firefighters from the Little Rock Fire Department and Miss Arkansas, Amy Crain. Isn't Miss Arkansas beautiful? I was so honored to have my photo made with her! Look really close and you can see the Arkansas State Capitol up ahead in this picture! We walked right up to it and took a right, walking down the road that the Capitol is on. My heart was pounding, I was so excited! 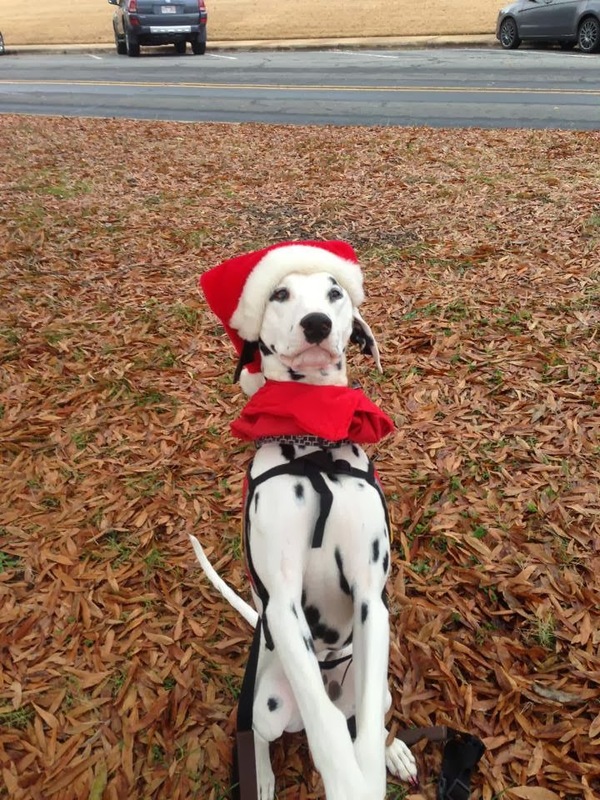 I had so much fun waving at people as they went by! These police officers were on duty during the parade. They were so nice when I asked them if I could be in a picture with them! 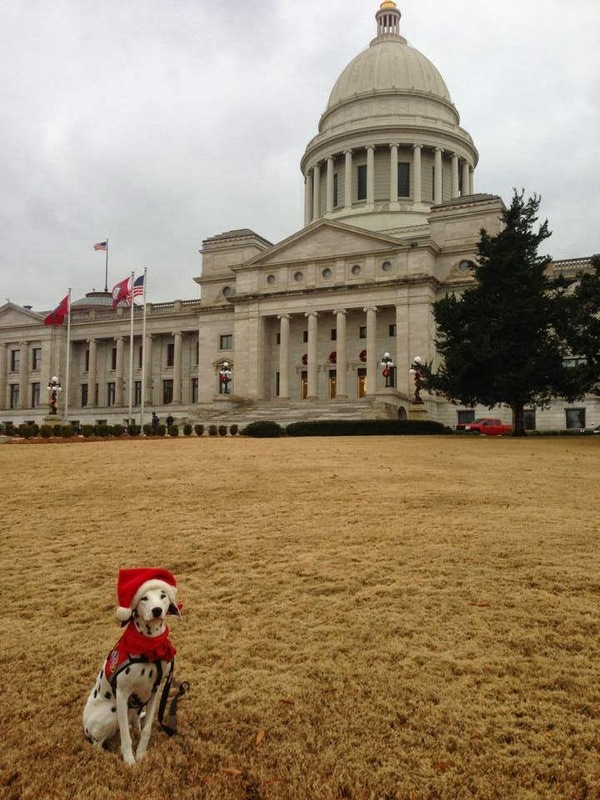 After the parade, I went on the front lawn of the Arkansas State Capitol and had my picture taken. 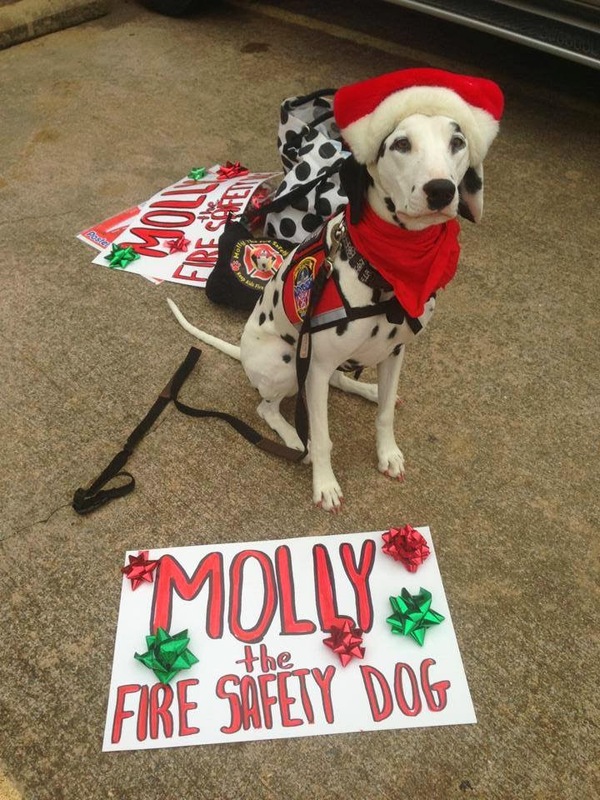 Firefighter Dayna was so proud! 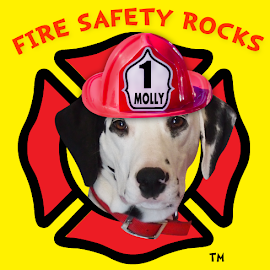 All of her Fire Safety Dogs have posed in front of the Capitol! 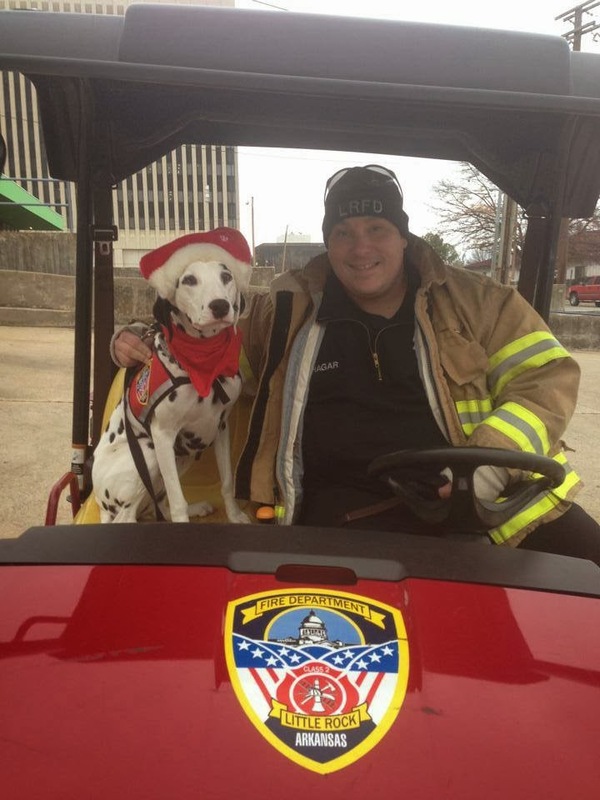 Of course I had to pose with my BFF, Firefighter Bo after the parade on the Capitol grounds! 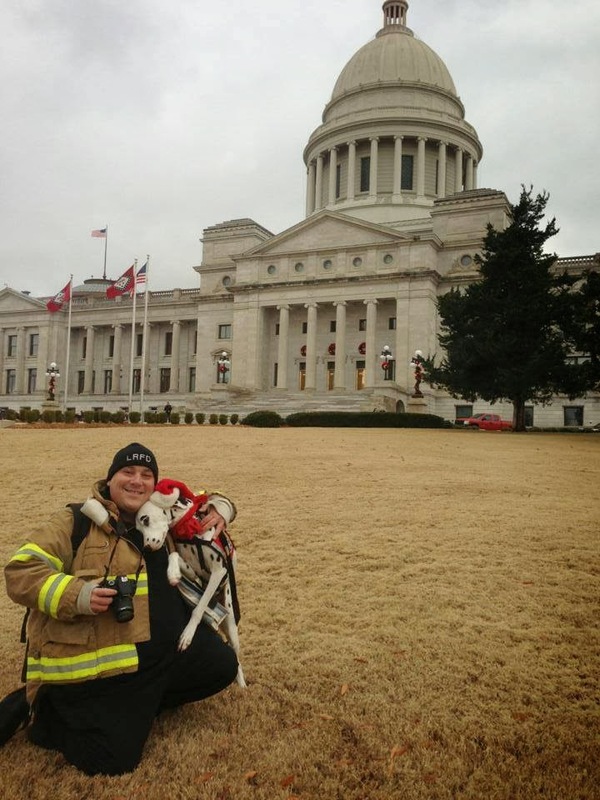 After posing at the State Capitol, it was time to hop back onto our ride, head back to Central Fire Station, and head back to Clarksville.